File types. They’re everywhere these days. But what’s a photographer to do? Take heed to my File Extension Guide for all of your capturing, printing, and web publishing needs. The JPEG (Joint Photographic Experts Group) file is a lossy format that is the most popular file type for most forms of basic photography. Every digital camera on the market has the ability to capture JPEG images. Its best feature is its ability to compress images to smaller file sizes without sacrificing much of the image quality, hence the lossy appendage. JPEG files execute this compression by mapping things like color to large areas as opposed to remembering the color for each and every pixel. JPEG supports 8-bit color for red, blue, and green pixels, resulting in a 24-bit total. Because of a JPEG file’s smaller file size, images can be captured and stored faster while shooting. However, beware that repeadedly editing and saving JPEG files with degrade their quality over time. Have you ever wondered why it takes approximately twice as long to capture a RAW image compared to a JPEG? That’s because RAW files are lossless, or uncompressed. They retain original information from the camera sensor, rather than being processed by special camera algorithms. 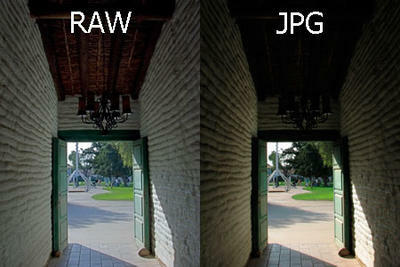 As a result, RAW files typically hold more color and exposure data than JPEG or TIFF files. Because of this, RAW files take up far more space on a memory card than JPEGs, and more time to store on a memory card. In most ideal lighting, the difference between a RAW and JPEG image may seem negligible, but if you want all of the native image information to be able to work with in Photoshop for the highest quality prints, then you should be shooting in RAW. While JPEG files are capable of a 24-bit color total, TIFF files take it a step further and offer the ability to save 16 bits per color, resulting in a 48-bit total. TIFF (Tagged Image File Format) files are flexible in that they can be lossy or lossless, though few digital cameras can record TIFF files. They are optimal for digital printing, however, and are known as the photographic standard. 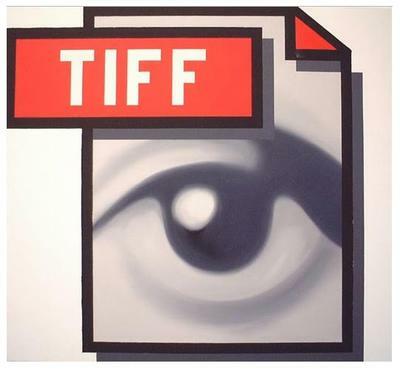 One downside to TIFF files is that they cannot be read by certain web browsers. Also, TIFF files take up even more storage space than RAW files, but if you plan on making high-quality prints out of your prized RAW image, make sure to save it as a TIFF at the max settings. The fun-loving GIF (Graphics Interchangeable Format) file is limited to an 8-bit color palette, or anything at or under 256 colors. As a result, GIF files are ideal for graphics, logos, shapes, and other forms of basic designs. GIF can also be animated for cartoon-like loops and saved in lossy or lossless formats. However, the most common usage for GIFs is message boards and MySpace, thanks in part to their typically small dimensions, reduced file size, and often madcap content. The PNG (Portable Network Graphics) file was created as an open-source alternative to GIF files in order to avoid patent infringements. As a result, the PNG files ended up being superior to GIFs in a few crucial ways. First off, PNG files support truecolor (16 million colors) compared to GIF’s 256. A lossy format of the PNG file can be used for editing pictures and can be used to replace TIFF files in most web-based environments. PNG files are also optimized for playing nicely with web browsers, though PNG images will appear darker in a program that does not understand the gamma level of the file correctly. That being said, PNG files can store gamma and chromaticity data for enhanced color matching. 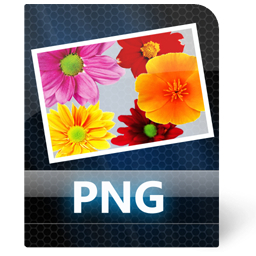 PNG files are ideal for advanced web developers who are looking for higher levels of image quality at file sizes smaller than JPEGs.